The Venice collection is formally cast casual dining at its finest. 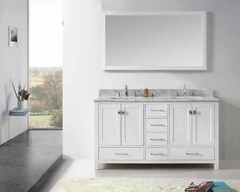 A smooth, polished appearance results from the straight lines and right angles of every piece. In hardwood solids and veneers in a rich Cappuccino finish, the Venice collection is comprised of gently curved slat back side chairs, a rectangular top table, and an optional dining bench. The dining bench can take the place of two dining side chairs, or can be ordered as an accent piece for your dining room to tie the collection in with its surrounding decor. 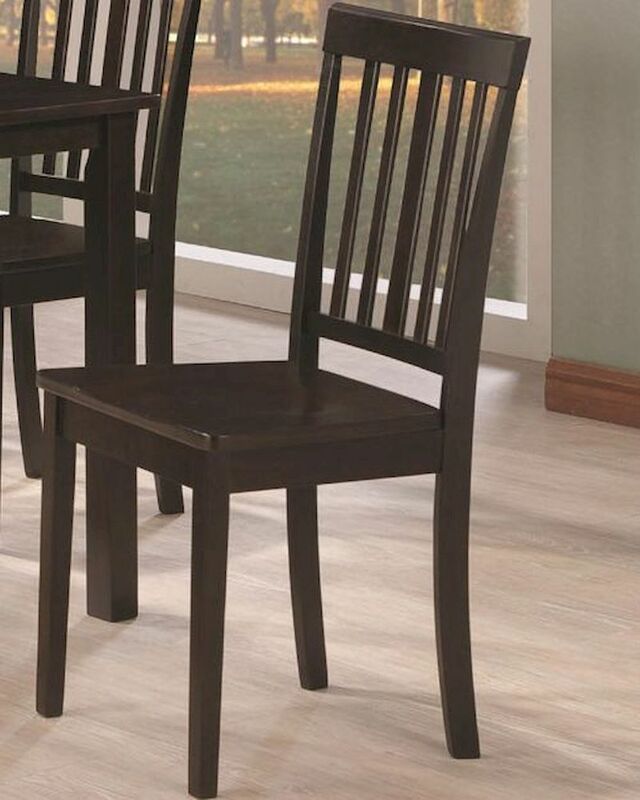 This Slat Back Dining Side Chair is crafted from hardwood solids and veneers in a rich Cappuccino finish. With gently curved slatted backs and a seat shaped to fit the contours of the human body, this chair offers comfort without upholstery or bulky cushions so that your dining area remains defined by its formal qualities.